2″ high x 1-1/2″ wide x 7/8 ” deep. Working speaker plugs into any CD/Tape/iPod player. 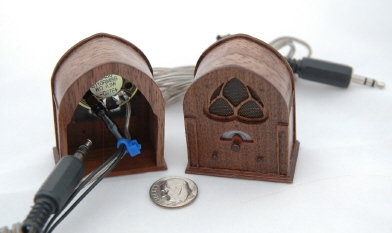 Also has a working light inside to simulate old radio dial/tubes.